iPhone is a very famous Smartphone with much number of features and have great effect on buyers. Many iPhone lovers are watching out new features coming out every day. iPhone has best quality of camera and which acts as portable scanner. This phone has best quality which comprises higher megapixels and good resolution. When we compare camera feature with other Smartphone, other phone really don’t have that quality which we notice in iPhone. 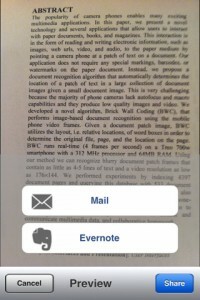 Here we are going to look how to Make your iPhone a Portable Scanner with these 9 Scanning Apps. 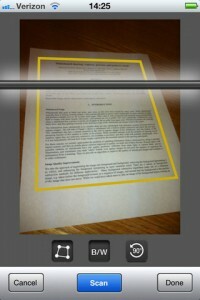 So what are you waiting for, let’s go ahead with our article on best scanning apps for iPhone. Officedrop is one of the best and simple scanner Applications which doesn’t store directly to cloud. This is simple Application with many kind of features as after scanning it directly changes to PDF format with less amount of storage. After getting scanning your file, you can just send to your computer just by mailing it. It has many other usual features like cropping image, adjusting image, multiple documenting file, many other great editing option are available. 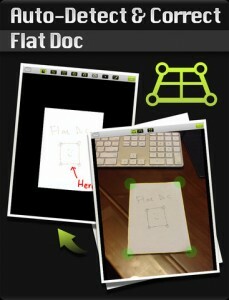 Here this iPhone App is going to make new upcoming feature in this era of Gadgets. This is really a great Application with good features like converting written documentation in to that electronic ASCII language, which can be easily editable and shared over email. You obvious will be knowing about that OCR which has great feature of capturing image and converting them into PDF format. Now you just forget about handy material and save pages digitally. 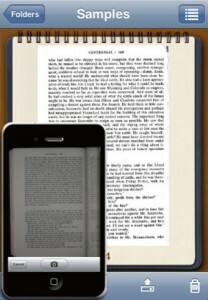 Page Scanner Lite which sound really good, it has most important and useful feature for scanning large number of pages. There are many other scanning features which makes your Application much smarter one. 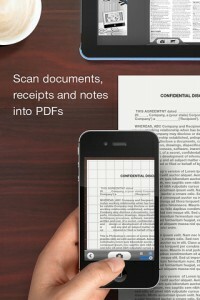 This App is really awesome with this you can scan many pages and course material and store it in PDF file format. So that you can later edit those file and pages. 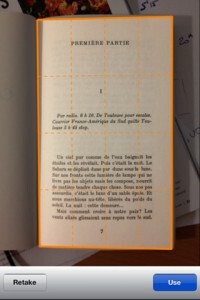 Next best feature about this is OCR engine which makes editable document to viewable state. Scan Page is basically a complete package of all best features which is giving complete satisfaction to user. It has best scanning quality of iPhone camera which offers a quality one which offers good scanned files with great resolution. With this Application you have one option that is you can store your file in cloud which is best feature and it is completely secure. It is really effortless work with greater quality and long lasting in market with awesome quality. This scanning Application has just turned every viewer attention towards it. 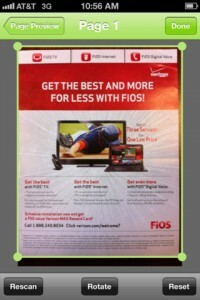 It has one of the genius quality of scanning color images and transferring them into quality with good resolution. This is really much sensitive one which detects side heading of document and even margins of document. After images get scanned it is directly converted to PDF and stored in cloud hence forth saving internal memory of device. File can be transferred through social media also directly by scanning. When you are in need of good scanner and printer which is not available and don’t have any option what to do now?. Now there is no need to worry about it, here is iPhone Application with features of scanning file and directly converting into PDF format. After scanning you can store into cloud and can transfer to Facebook or any other social media site which is better to work on it. 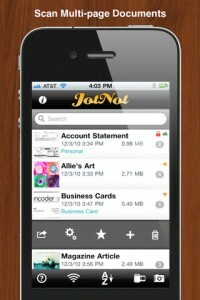 This iPhone App is unique feature with lot of capacity to manage file. Here is a scanning Application with cool number of features with good quality which is offering scanned object with great features. OCR which is well known feature called as Optical Character Recognition is one of the amazing feature which is really good and is completely depended on Application of document. This Application has advantage of Google documentation, after uploading in internet you can edit your file also. 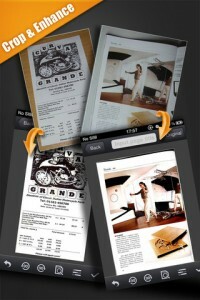 In business point of view this Application is really best one which is normally used for scanning objects like receipt. And other office documents which are normally can be used by anyone in this way. This is one of the Applications which is very fast in scanning your object and storing into cloud. And it is offering best quality of picture and very smart editing features also. After image is scanned your file is converted to PDF format and can be stored in cloud too. This is one of the amazing Application which works on both OS on Android and iOS also. It is one of best Application which scan high quality object file and makes view looks very original one and makes many batch files, group them together in to single PDF format. Once file is changed to PDF file you can share into Facebook or any of your social networking account. It has auto-cropping feature. So here we come to an end of our list altogether. Do checkout these apps and let us know what you feel about them and don’t pour out your comments on it.